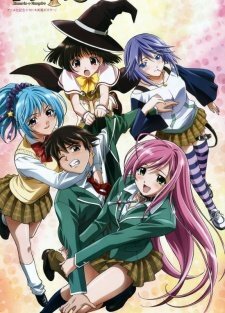 My most favorite top Anime Watch list I have watched so many Anime so far this Is Not My Full Watch list I can't remeber very well how many animes I watched But this is my most favorite anime all time hope you guys like it enjoy my list. At the start it would appear that this story will only be about fun and good moments for the "club" members, but after a brief fun during the first ova, the story turns out to be more deep and tense. On one hot summer day in 1983, a transfer student named Maebara Keiichi comes to a peaceful rural village in Hinamizawa. 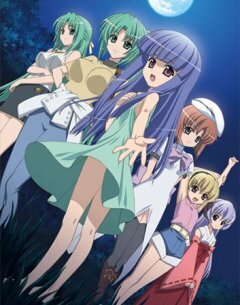 There, he befriends his classmates Rena, Mion, Rika, and Satoko. Accepted as a full-fledged member of the "club," Keiichi and the gang plays all sorts of activities ranging from card and board games to hide-and-seek. But just as Keiichi was beginning to be assimilated in simple rural life, he stumbles upon the dark history of Hinamizawa. 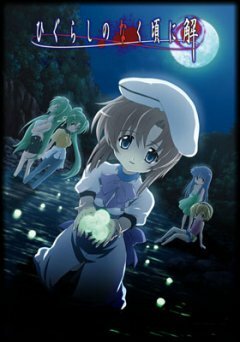 As Keiichi dives deeper into the mystery, he finds that his new found friends may not be all what they claim to be. 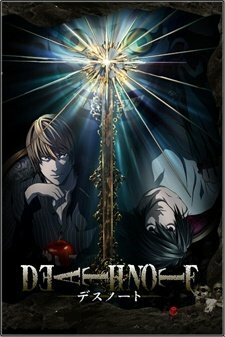 Yagami Light is an ace student with great aspects who's bored out of his mind. One day he finds the Death Note, a notebook held by a shinigami (Death God). With the Death Note in hand, Light decides to create a perfect world. A world without crime or criminals. However when criminals start dropping dead one by one, the authorities send the legendary detective L to track down the killer. After the invasion of Japan by the Brittannian Empire, the country is renamed to â€œArea 11?. The young Lelouch, a Brittannian student living in Japan, accidentally gets caught up in a local terrorist attack against Brittannia, reuniting with his childhood friend Suzaku as well as meeting the mysterious girl C.C. Cornered in a life and death situation, Lelouch accepts a power C.C. offers to him, the ability to order anyone to do anything. Harboring a thirst for revenge against the Brittanian Empire for their actions against his family, Lelouch wages war against the Empire. 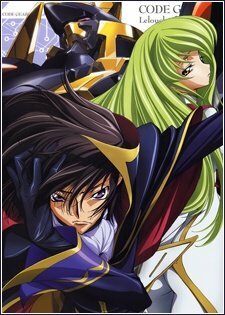 Using his newfound power and tactical ability, Lelouch goes under the alias Zero in attempts to fulfill his childhood vow, to destroy Brittannia! Satou Tatsuhiro, 22 years old, thinks that everything that happen around him is a conspiracy. He even figured out who is behind it all: The NHK, an evil secret company. "When you think anime, you think otaku. When you think otaku, you think people that dislike other people. Those people become hikikomori (people who shut themselves in)". So Satou manages to uncover the plot of The NHK (stands for Nihon Hikikomori Kyokai), after three years of shutting himself in (and rapidly approaching the fourth). In reality, he is nothing more then a NEET (Not in Employment, Education or Training), desperately in need of a cure from that "disease". He wants to break out from the curse, but going out and getting a job is frightening enough for him. That is until he gets selected for a "project"; it is a plan to help hikikomori like him in facing the reality of this world. In the distant future, people build their homes and raise domestic animals in subterranean caverns. As a result, they live in fear of the occasional earthquake and cave-in, and have been for hundreds of years. Jiiha is one such village. Kamina is now sure that there is a world above them. Recklessly, he begins to fight against the robot. At that moment, another person appears from the land above. It is a girl by the name of Yoko. With a rifle in hand, she had been tracking the robot. However, all she could do was distract it. Then, Simon shows what he had found to Kamina and Yoko. It`s a mysterious robot whose head is also its body. 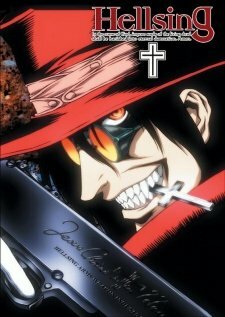 Hellsing centers around the Holy Order of Protestant Knights, led by the latest member of the bloodline of Abraham Van Helsing. Their mission is to protect Queen and Country from the undead and other supernatural forces of evil. The organization is run by Sir Integra Fairbrook Wingates Hellsing, who inherited her responsibility as its director after the death of her father in her early teenage years. She is served by her faithful family butler and former Hellsing "trashman," Walter C. Dornez, and Alucard, a powerful vampire that was captured by the family a hundred years ago and serves as the organization's current "trashman." They are later joined by former police officer Seras Victoria, who becomes a Hellsing soldier when she is turned into a vampire by Alucard.